I have always liked Agent Provocateur's aesthetic. I have appreciation for the brands that live up to their own manifesto. Agent Provocateur is one brand that has stayed true to its image with every product category: lingerie, swimwear, bridal, accessories; they are luxurious, edgy, sophisticated. I am the proud owner of each and every fragrance ever released by Agent Provocateur. 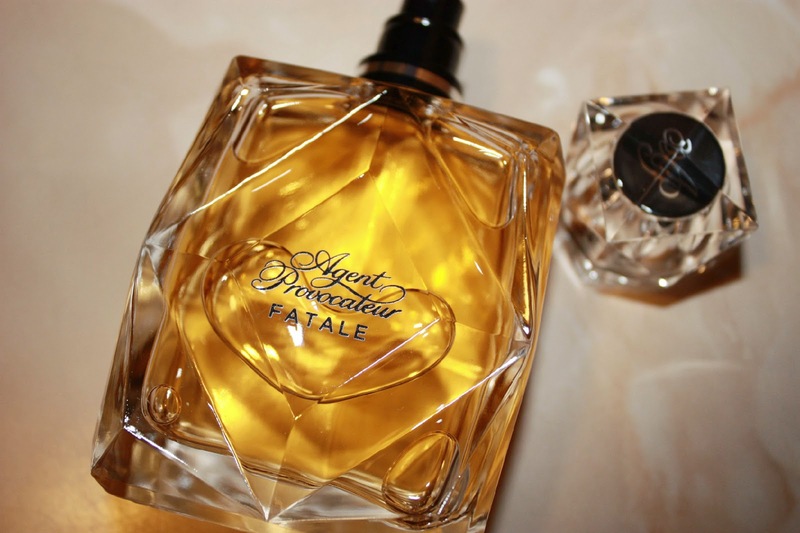 I find that they resonate with me, therefore I was very excited to hear that the brand was going to launch a new pillar fragrance in 2014: Fatale, a new fragrance for women, the first one released under the licensing partnership with Inter Parfums, Inc. Agent Provocateur Fatale features top notes of pink pepper, mango and blackcurrant, followed by a floral heart of gardenia, orris absolute and patchouli, over a base of skin musk, vanilla orchid, chocolate and labdanum. Upon first spraying, I could tell that this was a rich, complex scent. It features an impressive array of notes and the wonderful thing is that you can detect many of them. It also does a great job at intertwining most of its modern notes with a touch of old-school glamour. Fatale opens with a delicious, juicy mango note, very well balanced by tartness of the blackcurrant accord and the delicate touch of spice, namely the pink pepper. It then morphs into a seductive scent with a floral heart where you can smell the gardenia and the powdery iris note (reminiscent of the aforementioned old-school glamour). The patchouli is one of the main players here, making its presence since the very beginning. The dry down brings to life gourmand notes of chocolate and vanilla orchid, as well as a very soft, smooth leathery accord which comes from the labdanum. Everything in this fragrance is incredibly well balanced. Nothing is too much or too little; it is beautifully executed and that particular finesse and sophistication are what makes it stand out among the competition. 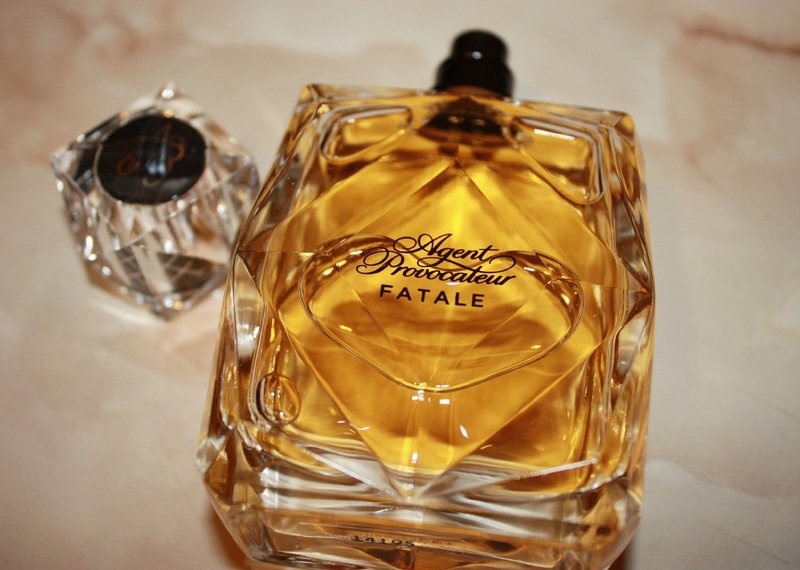 Fatale is a voluptuous, addictive scent: I have been wearing it every day for the past couple of weeks and the more I wear it, the more I love it. 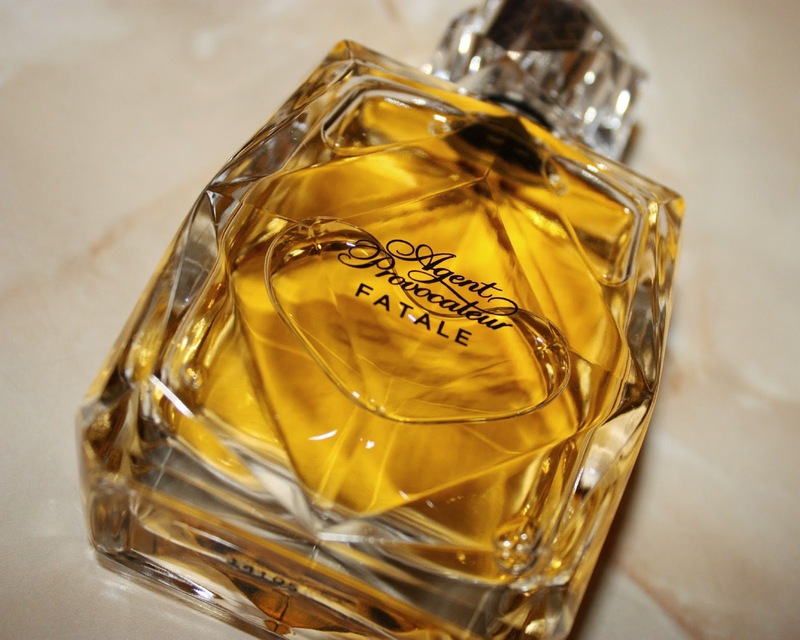 The lasting power is impressive, Fatale is easily one of the most long lasting scents I have tried this year (and I have tried many). It dries down to a sensual skin scent after 10-12 hours. Verdict: Agent Provocateur Fatale is beautiful, feminine, sensual. One of the best releases of 2014. Recommended. Fatale was created by IFF's Jean-Marc Chaillan and it is available in 30 ml, 50 ml and 100 ml Eau de Parfum.You can get it in stores now. To find out more, visit Agent Provocateur and Inter Parfums, Inc. Read more about the scent, the packaging and the ad campaign in my previous post. Review based on PR sample. All opinions are my own and 100% honest.